Dragon Ball Super: Broly introduces Broly and Gogeta into the series canon proper, but it also retools and retcons much of what fans know about the origins of the Saiyans, and the characters involved.One such change is for Vegeta's brother Tarble, who's been confirmed as part of the franchise's official canon in the new film. The Planet Vegeta's destruction happens in pretty much the same way it always has. Though there's been a few tweaks to how involved Bardock was in the final struggle, Freeza destroys the planet with a Supernova blast. Though the results of the attack are explored in a different way than before. So while Tarble's fate is not confirmed, his mere existence being solidified is a big deal. 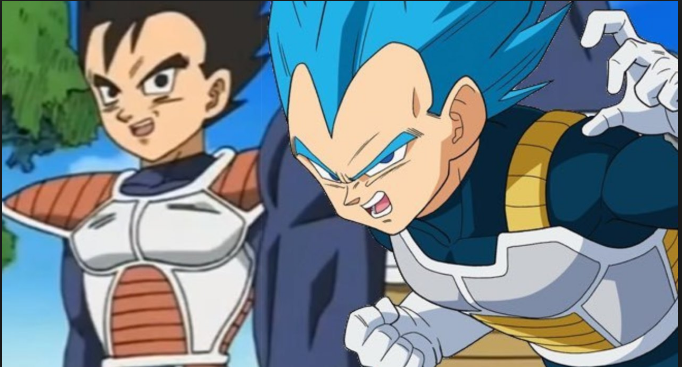 Vegeta's brother Tarble was originally introduced during the Dragon Ball Z special Yo! Son Goku and his Friends Return!! as a low-level Saiyan who was sent away buy King Vegeta for being too weak to be a warrior. He seeks some help from Vegeta against a deadly duo, and hasn't been really mentioned or seen since.